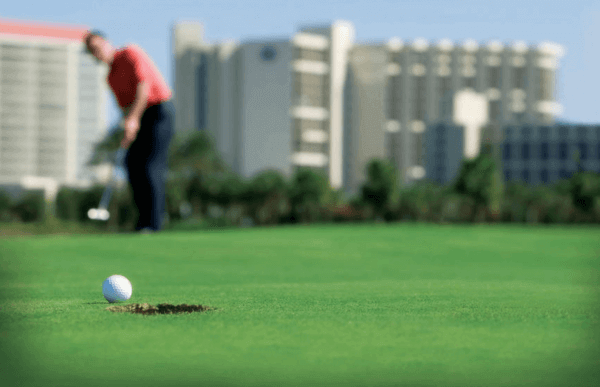 When you plan a business meeting, conference, social gathering or event at Hilton Sandestin Beach Golf Resort & Spa, you can feel confident it will be successful as well as unforgettable. First, our resort itself offers an assortment of impressive, tastefully designed meeting spaces, plus a number of amenities that are attractive to both meeting planners and attendees. Second, our resort’s on-site meetings staff is comprised of dedicated professionals who’ll make sure your event goes off without a hitch. The location of a meeting can make or break it. That’s partly why Hilton Sandestin Beach has been so popular with meetings professionals and attendees. We are easily accessed by car and by plane (we’re close to three airports!). And people are always looking for a reason to come to Destin, Florida, with its amazing climate, renowned white sand beaches and emerald-green water. 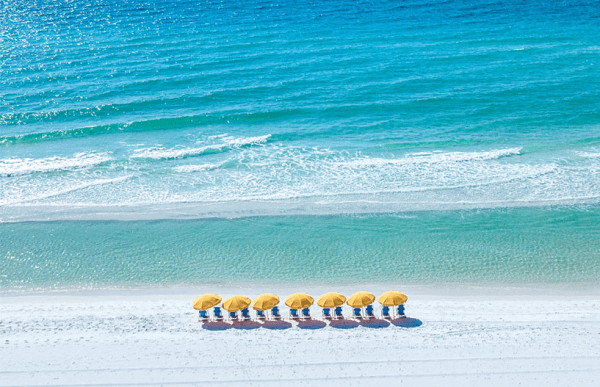 As Northwest Florida’s largest full-service beachfront resort hotel, Hilton Sandestin Beach offers 602 guest accommodations, fine dining options, golf, world famous fishing, shopping and an award-winning spa..
At Hilton Sandestin Beach, we can accommodate groups ranging from 10 to 2,000 attendees. We offer 40,000 square feet of award-winning, flexible indoor meeting space equipped with cutting edge technological capabilities. Options include opulent ballrooms, smaller breakout and pre-function spaces, an elegantly appointed boardroom, a theater and hospitality suites aesthetically inspired by the resort’s beachfront setting. We also offer 20,000 square feet of expansive outdoor deck space offering stunning views of the Gulf of Mexico. Our resort also features a Connectivity Center with six desktop computers and a printer, and high-speed wireless Internet access in all guest rooms, meeting rooms, lobby, our coffee shop and other public areas. 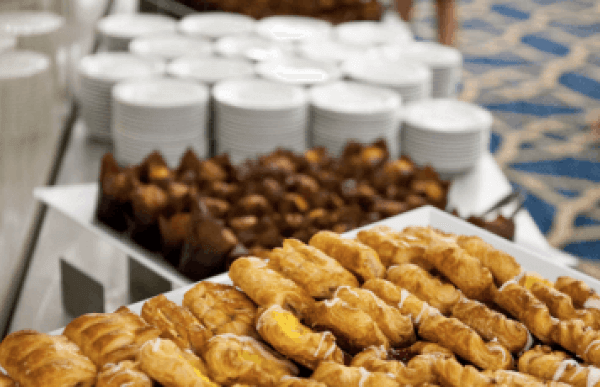 At Hilton Sandestin Beach, our experienced on-property staff will help every step of the way, including planning the most efficient use of meeting space, meals, receptions and coffee breaks, registration, transportation and audiovisual needs. 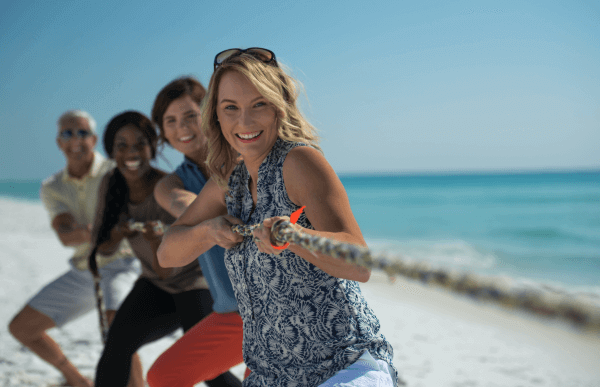 When it’s time for a break from work, our staff can also help with group recreation opportunities and team building exercises, such as a customized golf or fishing excursion, or our popular Beach Olympics. 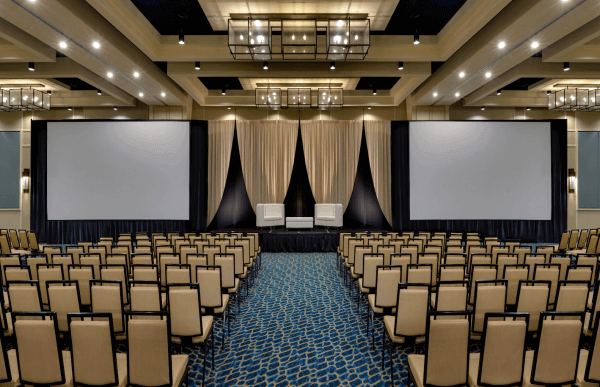 A great place to start your meeting or event planning is by checking out the meetings package we offer at Hilton Sandestin Beach. Thank you to the Hilton staff for making our summer conference unforgettable. Truly a meeting planner's dream... we are looking forward to coming back next year! The Hilton Sandestin has the best hotel staff to work with. No matter how many times I called on them, they were always there with a smile and ready to help. Frank Filgo, Alabama Trucking Association, Inc. I can't say enough about the Event Planning Department. They exceeded my expectations on every occasion and on every level. This applies to each and every staff person I encountered. In my opinion, the level of service provided by the Hilton Sandestin is unmatched: the standard to which other resort hotels should strive to match. The sand castle building contest was great. The staff really connected with the girls in my group, and that was awesome. It also started to sprinkle while they were working on the castles, so the staff provided us with umbrellas in each square. Excellent way to go above and beyond! Indoor and outdoor meeting spaces available at Hilton Sandestin Beach. We offer great group rates, extraordinary service and dedicated staff. Don't take our word for it. 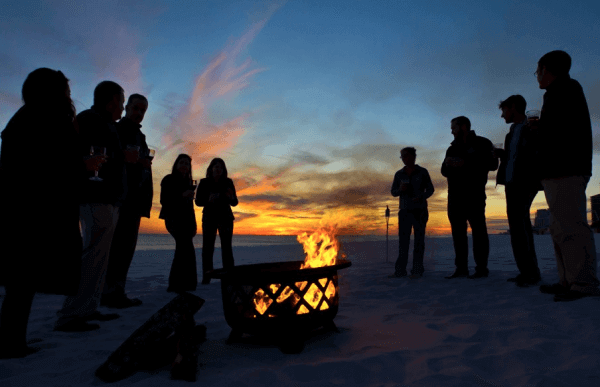 See why people love meetings at Hilton Sandestin Beach! You're attendees will love our world-class spa, golf courses, fine dining and more. Experience some of guest's finest beach meetings and events first hand!